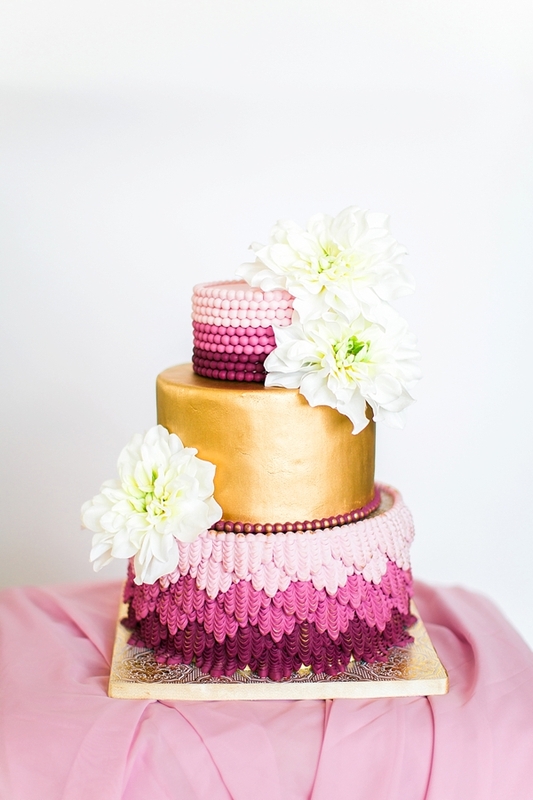 Be still our pink and texture lovin' hearts! 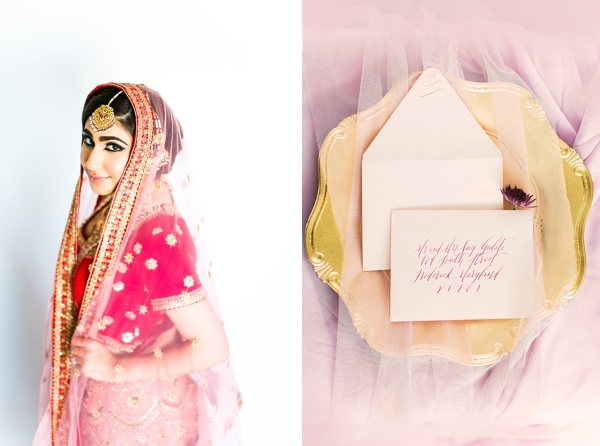 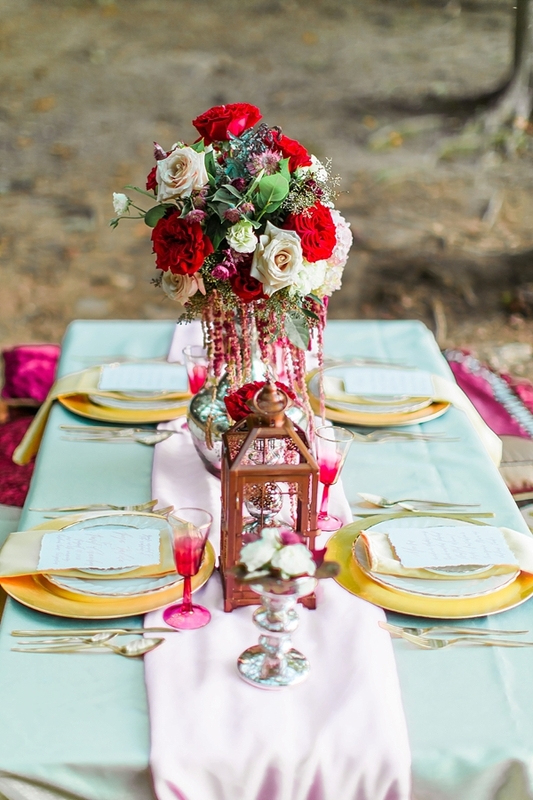 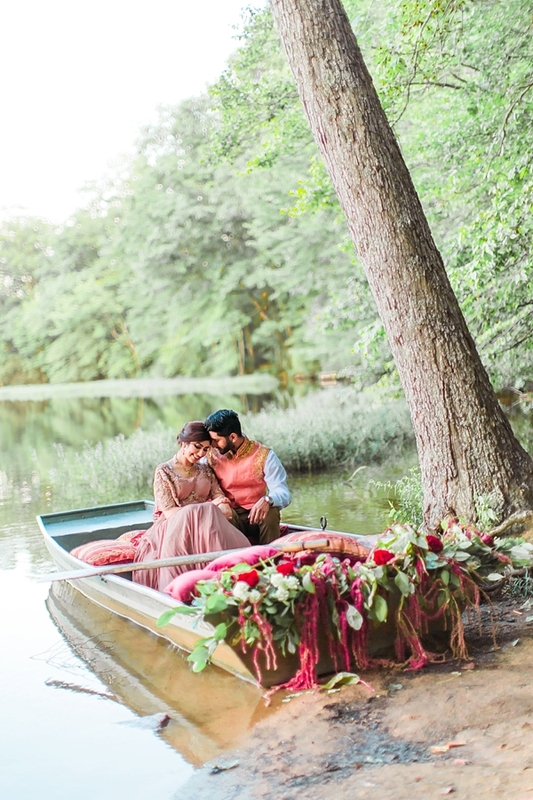 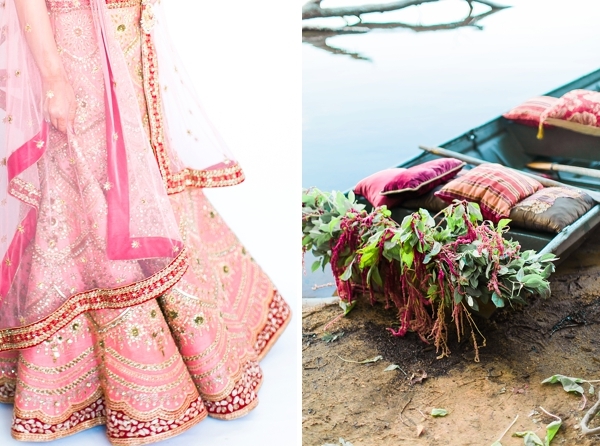 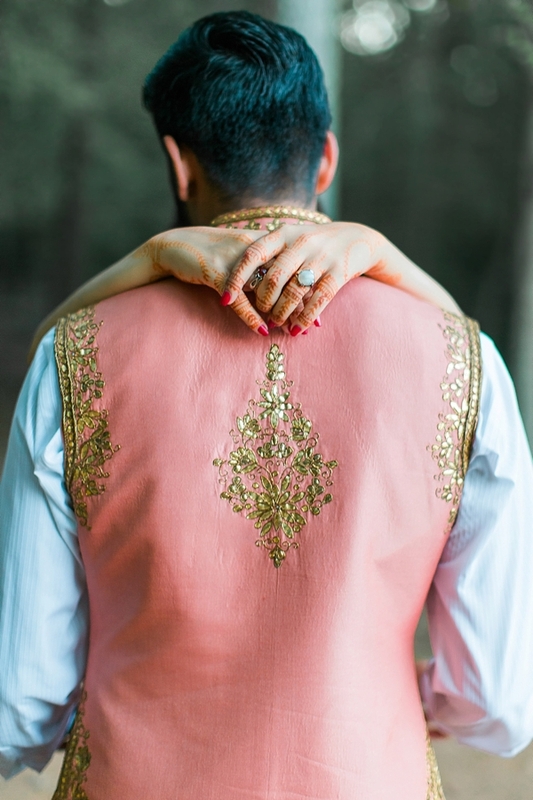 We don't even know where to begin with this utterly romantic South Asian wedding inspiration! 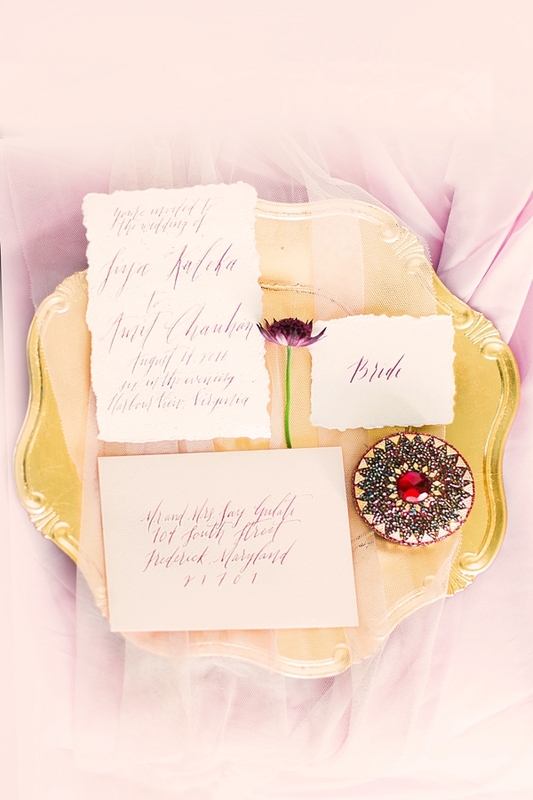 It's East meets West with modern chic detailing that will make any wedding lover swoon. 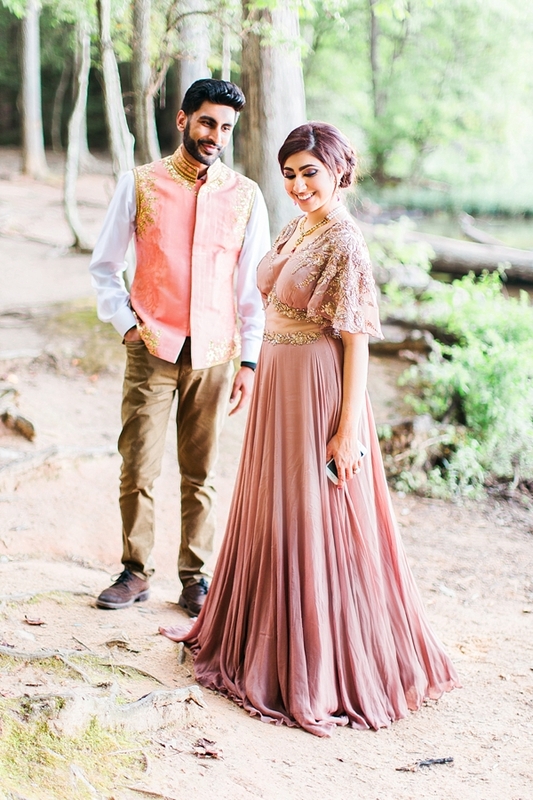 From a vividly red and pink traditional wedding lehenga to a dusty rose evening gown, the bride (who is none other but Kinza Shah of In-Act Miss Pakistan USA 2016) enchants us with her embroidered and beaded attire only made more elegant with gilded designs while the handsome groom dons a complementary modern nehru jacket (long mandarin collared vest) with gold embellishments. 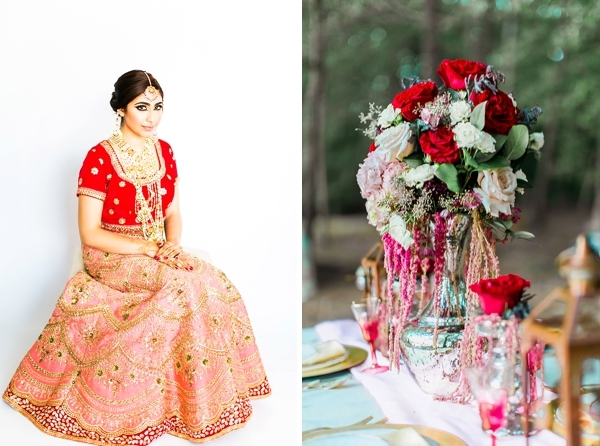 Captured by Snowdrop Photography and styled by House of Divya and Cre8tive Touch Events, tradition melds with contemporary aesthetic through the intricate henna, luxurious bridal jewelry, and rich colors in the diverse florals and tiered ombré cake. 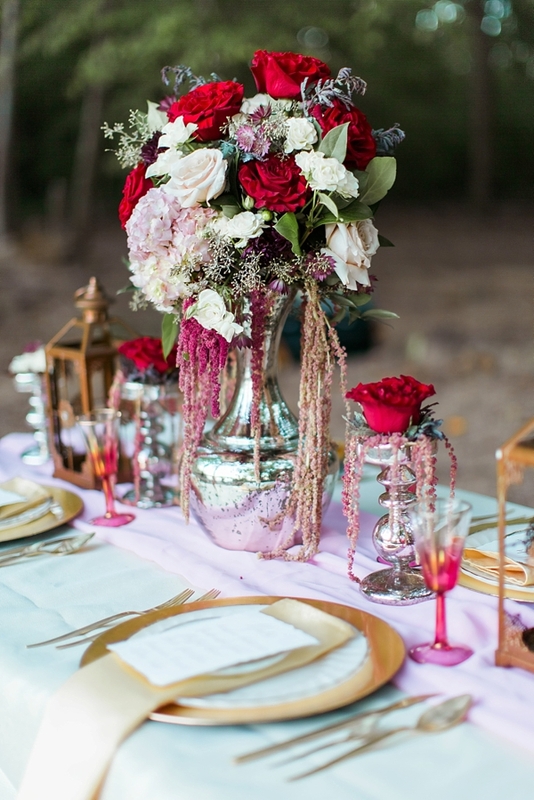 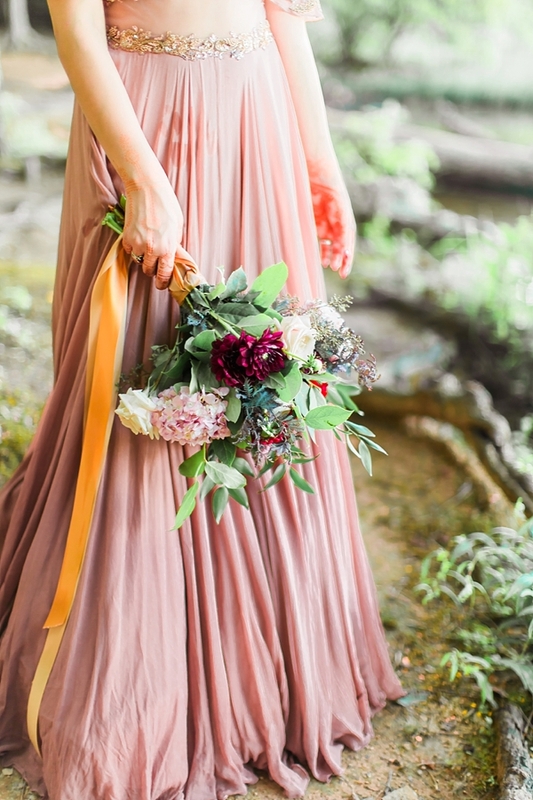 One of our favorites about this inspiration shoot is definitely the oh so charming rowboat draped in crimson roses, greenery, and magenta amaranthus. 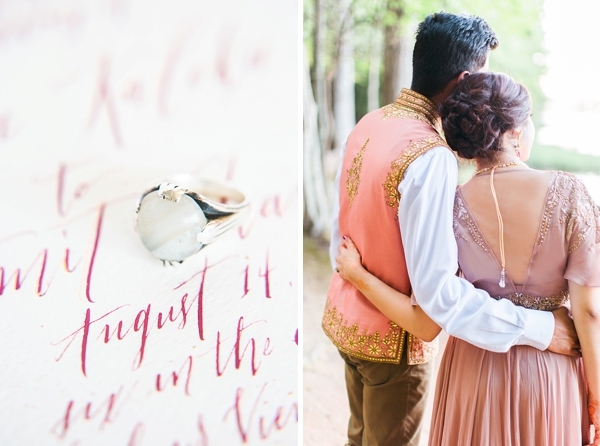 If that doesn't say newlywed romance perfection, then we don't know what will! 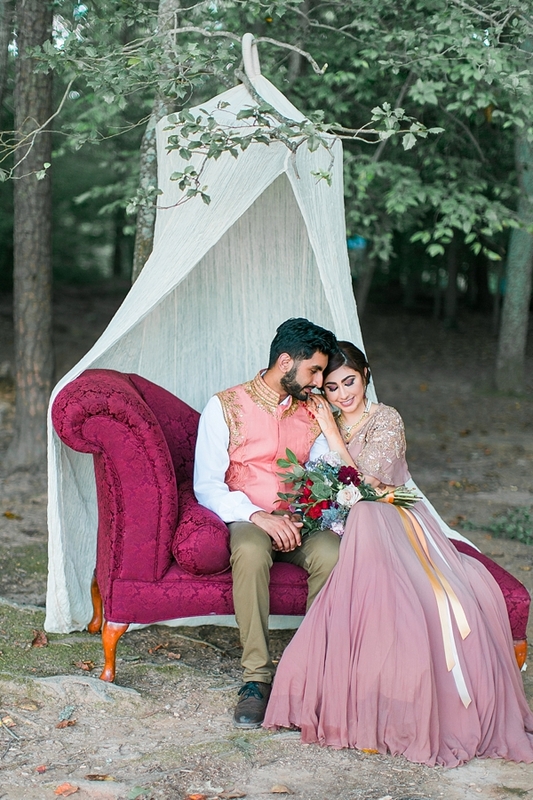 Other cozy vignettes include a hanging bohemian gauzy canopy over a vintage chaise lounge and a low dining table surrounded by lush pillows and fabrics which makes for a lovely intimate celebration under the stars. 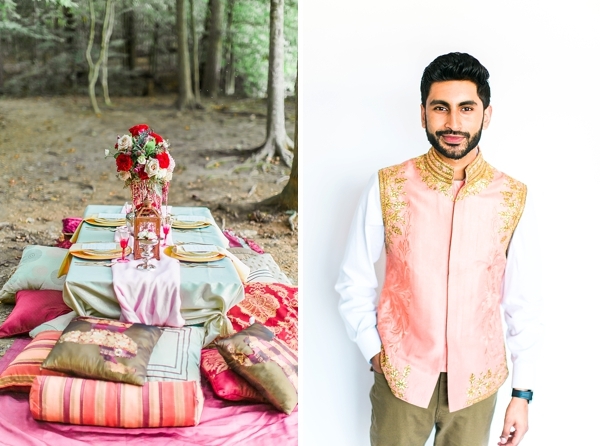 For couples looking to put a unique elegant spin on their Indian wedding day, get ready because you'll want to pin all of this!